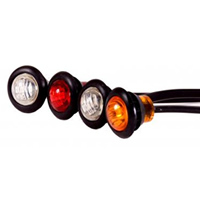 Maxxima introduces the new M09300 series of P2PC Combination Clearance Marker Lights. Each light comes with an attached grommet for quick mounting. Three SMD LEDs provide superior light output.